BlueFox.io is the company that reinvents traffic counting and mobile customer engagement for Retail, Hospitality and Smart Cities. advisory providing insights through connection + curation + communication bridging consumer driven industries with innovative technologies. She is also founder of RetailInnovationLounge.com a experiential global innovation event for convergent commerce. As a customer experience guru and trends forecaster in retail, Anne Marie has worked with leading companies including: IBM, Panasonic, Toshiba, Microsoft, Simon Venture Group, TPN, Ahold Delhaize, Pepsico, Hershey’s, Disney, Chico’s, AutoZone, Ralph Lauren, Hickory Farms and Macerich. Recognized as a thought leader, Anne Marie is a sought after speaker at future of retail, innovation and marketing events including: SXSW, Shoptalk, CES, Mobile Media Summit, Shop.org, CinemaCon, APEX, Ad Tech, Millennium Alliance, Retail Evolution, Retail Smarter – University of Florida Warrington School of Business, International Council of Shopping Centers, National Sporting Goods Association, National Association of Chain Drug Stores, the National Association of Theater Owners. She is also featured writer for Chain Store Age, Innovative Retail Technologies, Retailing Today, GeoMarketing, Chain Drug Review, Box Office Magazine, Fierce Retail, Street Fight, SharpHeels. She is featured writer for Chain Store Age, Innovative Retail Technologies, Retailing Today, GeoMarketing, Chain Drug Review, Box Office Magazine, Fierce Retail, Street Fight, SharpHeels. 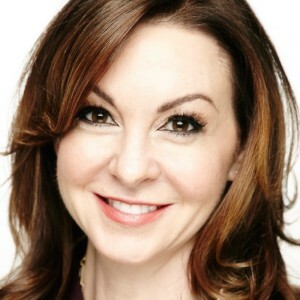 She is founder of the Retail Innovation Lounge, Smart Women in Retail Leadership (SWIRL); Past President, Location Based Marketing Association (LBMA) Chicago; Mentor at tech accelerators: Plug and Play Brand and Retail Center of Innovation Silicon Valley, XRC Labs in New York City, RevTech in Dallas and 1871 in Chicago. Anne Marie is a graduate of the University of Illinois at Urbana-Champaign.